Quite some time ago I bought a little set of Watercolours and the other bits of equipment to start painting…Adam still needs to make me an easel though! I saw that Just Add Watercolor by Helen Birch as available for review on Blogging For Books. 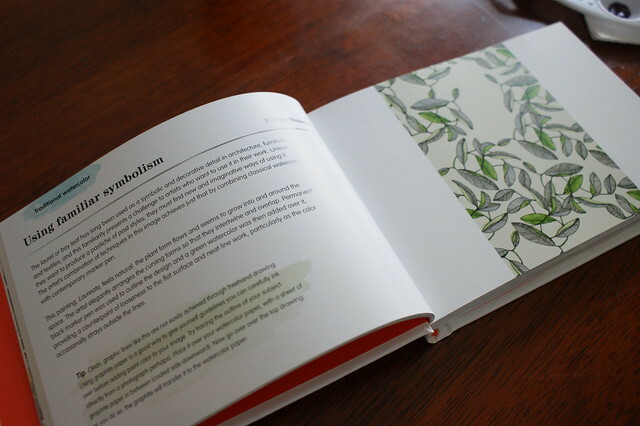 The book includes over 200 pictures from watercolour artists. 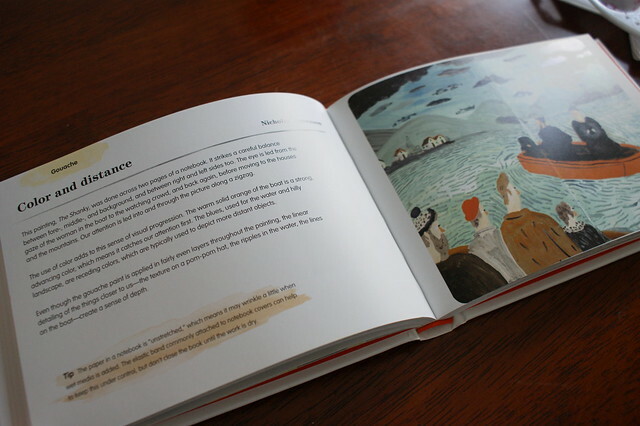 These pictures are displayed on the right page of the book. On the left page there is a description of the painting and also some helpful tips for budding artists like me. The advice given is simple enough for a beginner to understand and adapt. I like how the book isn’t too advanced and I can easily pick it up and start reading it from any point. I am in no means an expert when it comes to painting. I am an absolute beginner. I always think that whenever I paint, it looks like a child has done it! However, recently I have seen some simple paintings for sale that I could easily adapt and create my own version of. The book also helped me with pulling ideas together. 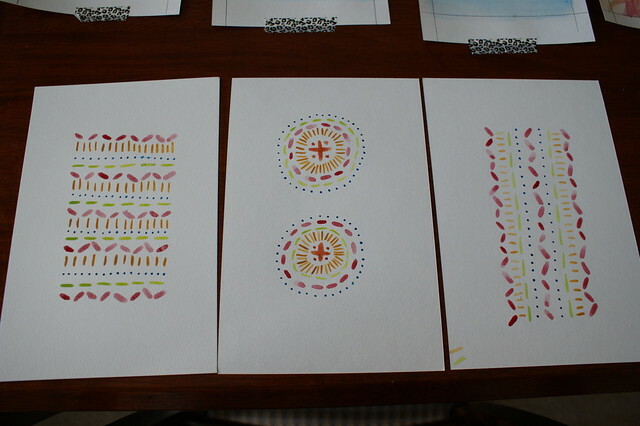 The first set I completed consisted of repeating patterns, painted in different formations. I think I like these ones the best and I plan to put them in pastel frames. 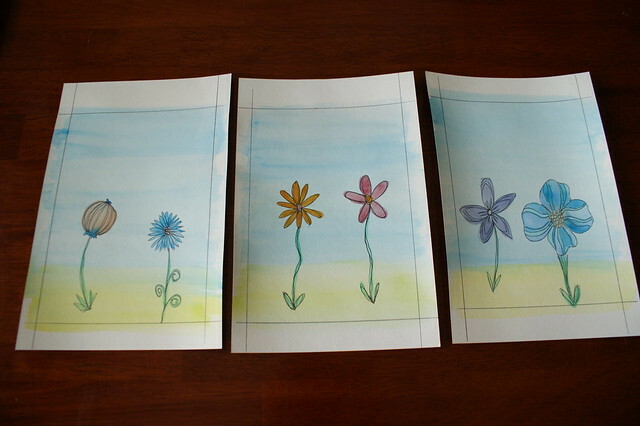 I love the paint over pen designs too so I had a go at some simple messy pen flowers. I think these will look nice in white frames. Let me know what you think…be nice!Ha! 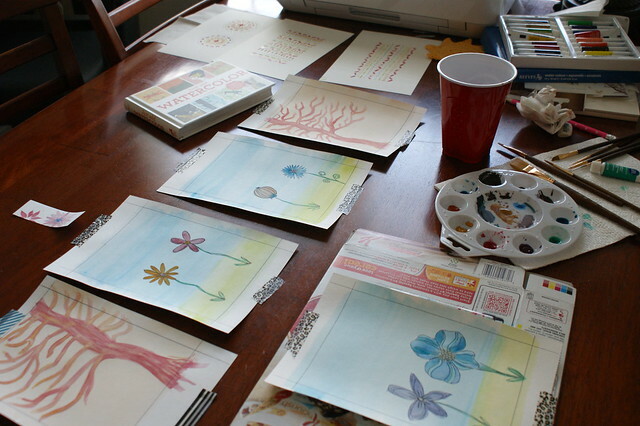 Do you paint with watercolours? Feel free to share your projects and tips! Well I like your painting. 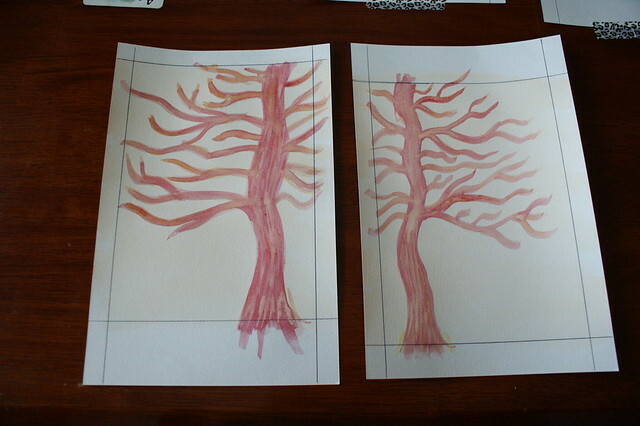 I would love to do water colour and my painting is worse than kids painting. Maybe this could be a book for me. Thanks for the review. Thanks! I think they will look really nice once they are framed 🙂 I think you should do more sketching as I’m sure I’ve seen a few pieces of yours before and I was impressed! Pingback: Talented Tuesday Link Party #23 - Cook. Craft. Love.